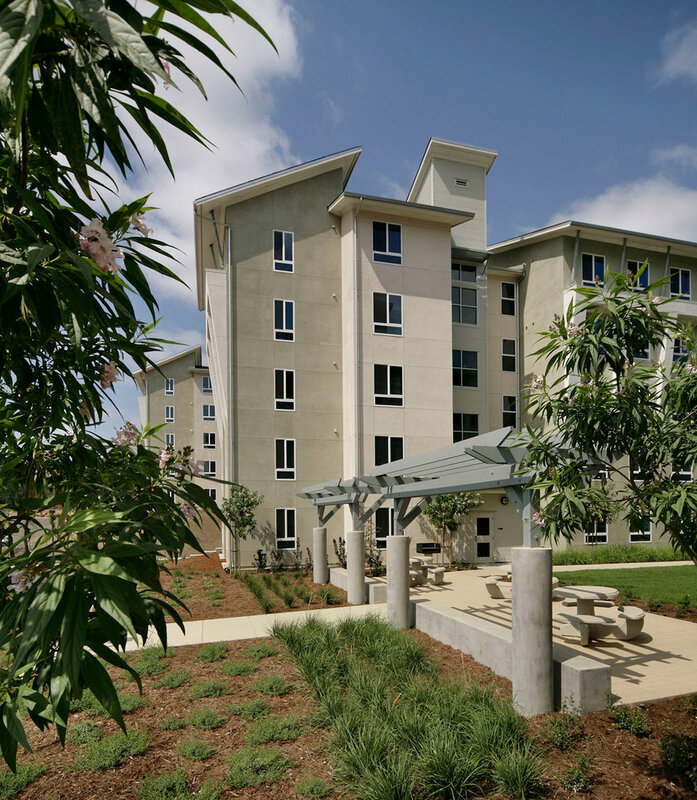 Built on a former agricultural site, Cal Poly's Poly Canyon Village achieves its aesthetic goals of aligning with the overall campus environment but establishing itself as an autonomous community that acknowledges the location’s rural past. 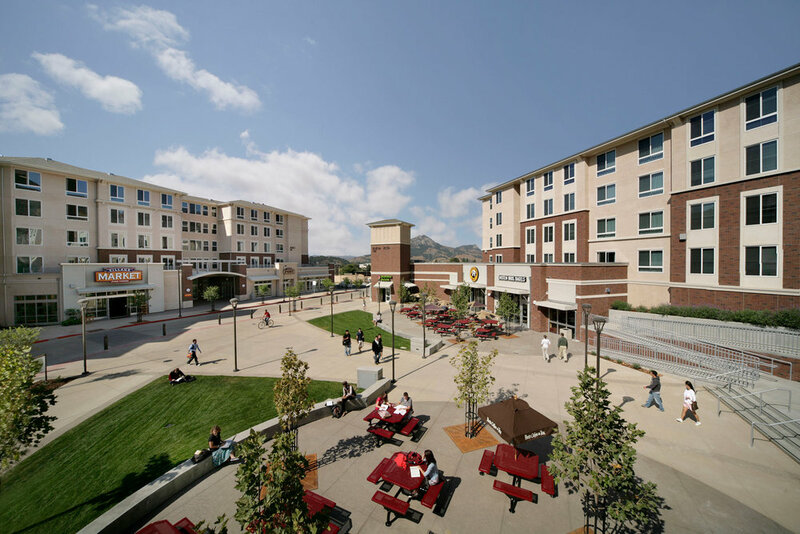 The nine residential buildings, separated into three distinct neighborhoods, increase student housing and decrease the need for vehicular traveling by providing retail shops, mail center, ATM, swimming pool and other social amenities. 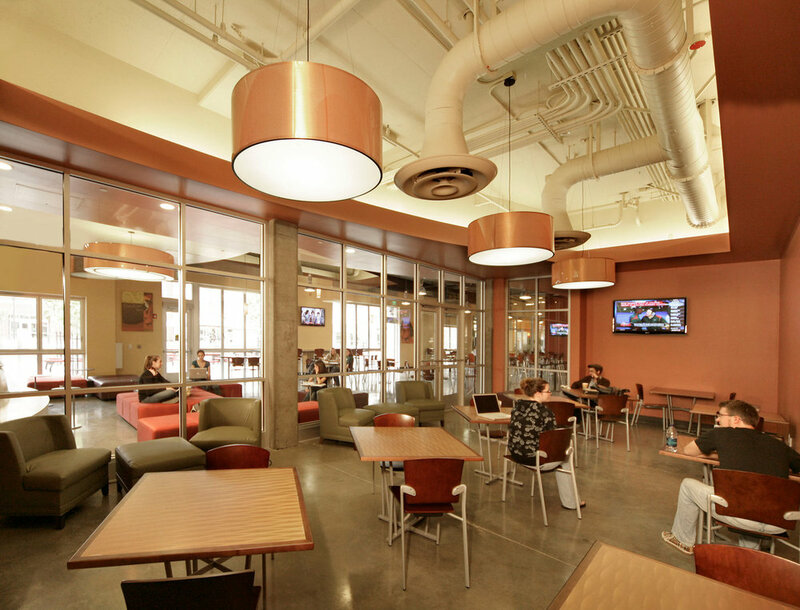 The design/build project received a LEED Gold certification and serves as a regional model for sustainable design.